Have you broken your promises to yourself? Have you done what you said you’d do? If you work on your own, who is to know if nothing on your ‘to do’ list gets done? You can procrastinate for as long as you like and no-one will be any the wiser. Most business owners who talk about time management don’t really need help in managing their time. They need someone to hold them to account for the results (or lack of) that they say they want to achieve in a certain time. The thing that makes the biggest impact is when you agree what you’re going to do and comit to reporting in to somebody to tell them that you’ve done it. Get somebody who will hold you to account. Make it someone who has no axe to grind, no hidden agenda and just wants to see you succeed. Ask them to accept no excuses and to make sure you keep on track with what you say you will do. If you’d like me to be the person you talk about how to achieve what you say you want to do, get in touch! Self belief is a major factor in becoming successful. Many of the people I mentor have all the talent they need to be successful but suffer from a lack of self belief and confidence. This stops them from even trying to get what they want. Henry Ford said: “Whether you think you can or you think you can’t – you’ll prove yourself right”. Our thoughts are so powerful that they influence everything we do. Do you believe you can get what you want? If not, what are the thoughts that are holding you back? The first step to working on a lack of self belief or self confidence is to acknowledge that you have them. All other things being equal, self-belief is often the single ingredient that distinguishes a successful person from someone less successful – because they believe that if they try something and fail, it’s not the end of the world and they can always try doing it a different way or try something else. If you’d like to talk about how to achieve more of what you want, get in touch! How do you decide what you want? A surprising number of people have trouble deciding what it is they most desire. As soon as we have the thought about what we want, we simultaneously tell ourselves that it is impossible, or that it is a selfish or unworthy goal. We never really believe that we can have what we want. For as long as we do battle with ourselves we find it hard to decide on a definite plan to achieve our desires. It is our habits that have got us to where we are now, wishing and hoping for things to change while we keep doing the same things and expecting different results. These ten questions are the starting point of a process of discovery, reflection and planning that I’ve used with lots of people to help them to discover what they really want and make a plan to get it! They come from a book called “How to have your best year yet” by Jinny Ditzler. 1. What did you accomplish last year? Brag like no-one is listening! Don’t compare your achievements with anyone else’s. This is not a contest it’s just about YOU! If you are finding it hard to give yourself a pat on the back take a minute to wonder why. 2. What were your biggest disappointments in the past year? When did you disappoint yourself? When did others disappoint you? What happened that was not in your control? It’s not about beating yourself up but about looking at how you handled things. If you find it easier to criticise than to praise yourself, ask why. Are you hanging on to any resentment or anger or have you let it go? What worked and why? What didn’t work and why? What will you start doing? What will you keep doing? What would you stop doing? 4. How do you limit yourself and how can you stop doing it? Fear is the biggest limiting factor in most people’s lives. Most fears are about things we imagine that never come true. What is it that you are most afraid of? What stories do you habitually tell yourself? What kind of self-image do you have? What would happen if you told yourself a different story and believed it? 5. What are your personal values? Imagine you are an observer at your own funeral. What would you like people to say about you? How do you want to be remembered? How can you make your life be about living to these values? 6. What roles do you play in your life? We hear a lot about work/life balance but what does this really mean to you? Everyone has many roles and they change as circumstances change. List all the roles you currently play – in no particular order – and then note the ones you do well and the ones you do badly. 7. Which role will you focus on? Acknowledge that you have only so many hours in a day and that your first priority must be to taking care of yourself. This is like the airline notice that says “put the oxygen mask on yourself before helping others”. If you are not taking care of yourself you become a liability. Note any conflicts and then decide which role will be your major focus, thinking how this will fit into a long term life plan. 8. What are your goals for each role? The only sure thing about goal setting is that goals need to be seen in the context of your whole life. If you start with the end in mind and align your actions with your values you are more likely to succeed. 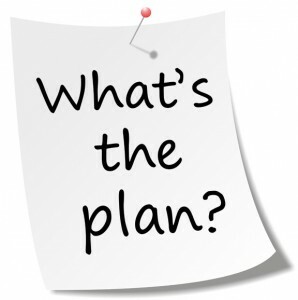 Do you have a life plan and long term goals or are you in ‘let’s see how things turn out” mode? When you set the goals for each role check for conflicts and make adjustments where necessary. 9. What are your top goals for the next twelve months? Choose from the goals for each role the ones that will make the most difference to your life. Keep checking back and revising the list until you have a list that thrills and excites you. If your list causes you doubts and worries, dig up the reasons. Be honest with yourself and if you really can’t see yourself achieving a particular goal, cross it out and replace it. 10. How can you make sure you achieve your goals? Your goals needs to be a living breathing part of every second of your life. Every decision you make will take you nearer or further away from achieving your goals. Achieving your goals is not something you do as well as doing everything else in your life. Achieving your goals is about the way you live every moment. If your goals are consistent with your values and the roles you play in your life the changes you make will lead naturally to the end you have in mind. If you’d like to explore any of this in greater depth just get in touch with me. I’ll be happy to help. Some of my clients struggle with deciding which opportunities to accept and which to reject. When you work for yourself it can be hard to turn down opportunities to earn money. Knowing which are the real opportunities and which are distractions can be a tough call. A clear desire is one of the main factors in success. When you know what you want you can make a plan to get it. When you have a plan you can check whether opportunities that arise will take you closer to, or further away from what you want. Staying focused on achieving a goal can be hard but distractions are everywhere! If you want help to clarify your focus, or to stay focused, contact me now, I can help.